From the very early days of rangefinders on the golf course, Bushnell has established itself as one of the leaders in the industry. While their technology and the various models that they offer have come a long way from that starting point, Bushnell remains at the top of the market today. If you are looking for a high-quality rangefinder with all of the bells and whistles you need to play your best, it is going to be hard to do better than the Bushnell Pro X7 Jolt Slope Rangefinder. Before getting into the details of what this unit is capable of accomplishing, we should first point out just how beautifully simple the concept of a laser rangefinder really is. There are no satellites that need to get involved in this operation, as it is just a quick measurement between the unit itself and the target you have selected. That’s all. Once you know how to operate this laser unit properly, it should take only a quick moment for you to measure an accurate distance to any target that you select around the course. This particular model from Bushnell is impressively powerful, as it is capable of measuring distances up to a mile away. Of course, that really isn’t going to be necessary on the course, as you are going to be dealing more so with numbers in the range of 50 – 250 yards. Between 5 – 125 yards, the Pro X7 Jolt will give you a measurement down to the half yard for added precision, and the unit is capable of picking up the flag itself from more than 550 yards away. If you have used previous laser rangefinder models – whether from Bushnell or another company – you know that one of the main drawbacks is the uncertainty about what you are actually measuring. Is the number you are seeing actually the distance to the flag, or are you hitting something behind the green with the laser instead? You have to be confident in order to play good golf, and you won’t feel particularly confident over the ball if you aren’t even sure that you have the right club in hand. To eliminate that uncertainty, Bushnell has introduced something it calls Jolt Technology. The idea is quite simple – when the rangefinder does lock on to the flag, you will feel a slight vibration in the unit to tell you that you are getting the correct measurement. This might seem like a basic thing, but it is actually a big step forward in this market. Instead of measuring two or three times to confirm your number, you can just measure once, feel the Jolt, and move on with your shot. Another common complaint with previous generations of rangefinders was the difficulty that was often experienced when trying to see through the viewfinder. You want to be able to get a good look at the target, but that could be a challenge with some older models. If that has been a problem for you previously, it will be worth your time to check out the Bushnell Pro X7. This model has Vivid Display Technology, meaning the brightness and resolution have both been improved. You should have no trouble at all getting a clean look at your target when using this device. In addition to measuring basic distance, this model also has the ability to adjust your distance automatically based on slope changes. So, if the shot you are measuring is going to be played uphill or downhill, the Bushnell Pro X7 will make the necessary adjustments to the number and provide you with a distance that will help you hit the target successfully. For instance, a downhill shot that is actually 150 total yards may be displayed as 140 due to the amount of decline that you are facing. Unless you play golf in a perfect world – which is doubtful – you are going to have to deal with a bit of bad weather out there on the course from time to time. If you are a serious player, you certainly aren’t going to let a bit of rain keep you away from the course. With that in mind, it is nice to know that the Bushnell Pro X7 is designed to be fully waterproof. 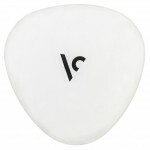 Even if the rain is coming down, you can still take this unit from your bag to get the quick measurement that you need. And, of course, since it can provide you with a reading so quickly, you can get on with your shot before getting too wet! 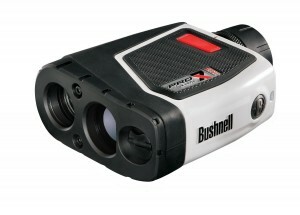 As you can probably tell from the nature of this review so far, this Bushnell product is among the best on the market. In fact, there is a case to be made that this is, in fact, the best laser rangefinder you can buy today. The Jolt technology makes it easy to be sure that you have the right yardage, the high-quality image in the viewfinder allows you to see the target clearly, and the measurements even go down to the half yard from inside of 125. Any way you look at it, this is a unit that is high on performance. So, what possible ‘cons’ could there be for a product such as this? Well, there are two. First is the price. You will often need to pay nearly $400 for this model, which is steep any way you look at it. 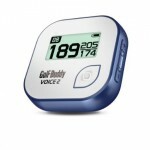 Even the most serious of golfers will admit that this is a lofty price to pay for a distance measuring device. Also, since this unit includes slope adjustments, it may not be allowed in tournaments that you play in. If this is a potential concern for you, be sure to look into this topic further with your local club or organization before making your purchase. In all, you will be hard-pressed to do better than the Bushnell Pro X7 Jolt Slope Rangefinder. This is a high-end product with the performance to match. Unless the price or the addition of the slope feature are a deal breaker for you, the Pro X7 should remain near the top of your shopping list.